Don Branson aboard the No. 4 in 1965. 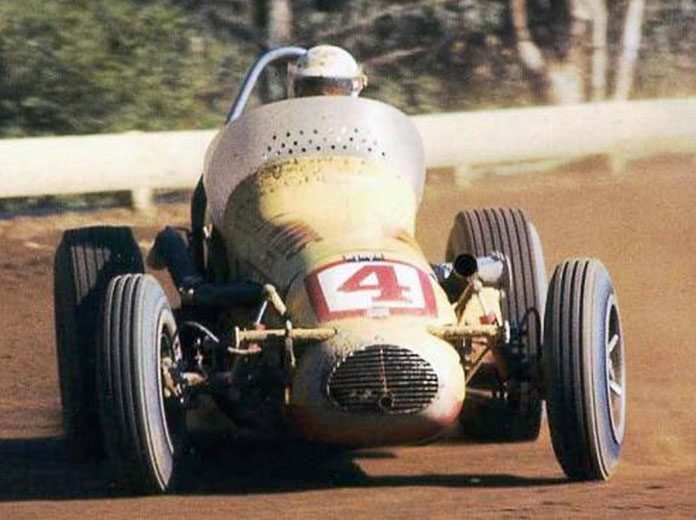 His peers called him “Pappy” because when Don Branson was in his prime on the demanding USAC open-wheel circuit of the 1960s, he raced guys half his age. His first Championship Trail ride didn’t happen until age 36. He turned 39 when he won his first USAC sprint car championship. And he celebrated his 40th birthday a few days after his rookie Indianapolis 500. Still, the youngsters Branson competed against held him in high regard for his remarkable talent. Mario Andretti, a fervent admirer, still speaks fondly of Branson. That touch made him legendary. 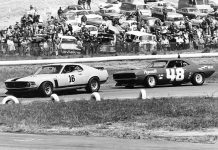 Once at the California State Fairgrounds, he drew a late qualifying number. Taking to the used-up track, few thought he’d make the show. Not deterred, Branson grabbed the last few inches left of the cushion and put the car up against the fence to set quick time. 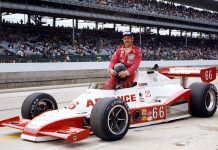 Hiding that he was a Type 1 diabetic because USAC wouldn’t have issued him a license, he persevered through diabetes’ energy-draining effects to amass a spectacular record. During his 10-year career at the top echelon of the sport, Branson won six USAC Championship Car races, 28 sprint car mains and 15 midget features. He won the USAC sprint car championship twice and qualified for the Indianapolis 500 eight times. 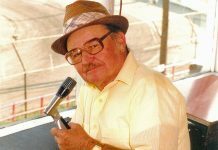 Born June 6, 1920, in Rantoul, Ill., Branson began his racing career at a later age because he enlisted in the Army Air Corps and served as an aircraft mechanic in the South Pacific during World War II. After the service, Branson joined the racing craze that swept the nation — midgets. Displaying his ability immediately, he became a winner in the small cars before turning his attention to sprint cars. By 1952 he was running with the IMCA and gaining rides in that series’ top cars, including Hector Honore’s famed “Black Deuce,” with which he won three features. The next rung of the racing ladder for IMCA sprint car drivers was USAC. Branson made that transition with a run in the 1956 Champ Car race at the Illinois State Fairgrounds. He finished 11th. The following year Branson raced with USAC full time. A major break came at the Arizona State Fairgrounds in 1958, when he hooked up with Bob Estes’s top-tier team and mechanic Jud Phillips. Branson qualified fifth and finished seventh. The following May he qualified for his first Indianapolis 500 in Estes’ roadster that was built by Phillips. In April 1960, he won his first championship race at Pennsylvania’s Langhorne Speedway. Driving Phillips’ car on the USAC sprint car circuit, Branson captured his first championship in 1959. Five years later, the 44-year-old Branson won his second sprint car crown. The 1964 championship was especially remarkable in that he missed two months with a broken arm and still beat Jud Larson, A.J. Foyt, Andretti and Johnny Rutherford to win the title. Despite winning the Hut Hundred in 1966, Branson planned to retire at the end of the season and take a job with Goodyear. Branson died in a crash on Nov. 12 at California’s Ascot Park Speedway.